After a divorce or death, you may realize that you have someone else's name on a property deed that should no longer be there. If the person is still living, you may ask them to remove themselves by signing a quitclaim. If you prefer, you can sell the house with your fellow deed holder's permission and transfer ownership completely. This act will generate a new deed in the buyer's name. If the individual has died, you'll need to file a death certificate and ask for a new deed. 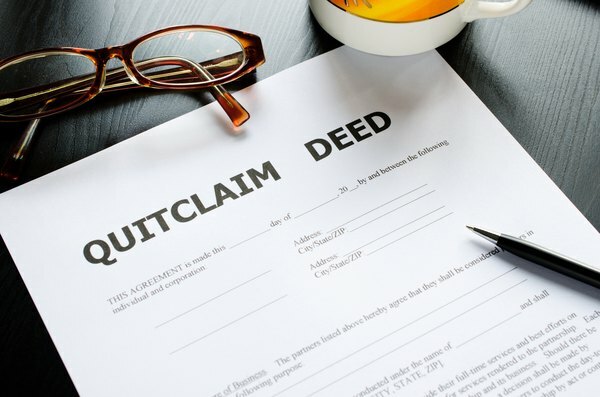 Common after a divorce, an individual who signs and files a quitclaim is asking to have their name removed from the property deed. When doing so, that person completely relinquishes any ownership of and interest in the property. Quitclaims can create noteworthy complications, however. While a quitclaim surrenders ownership of an asset, it doesn't impact the associated liability. Pretend, for instance, that you and your spouse bought a house together, and that both of your names are on the deed and the mortgage. During the divorce, you agree to let your spouse keep the house. Signing a quitclaim will remove you from the deed, but not from the mortgage. If your spouse defaults on the mortgage, the lender could force you to pay even though you no longer own the home. 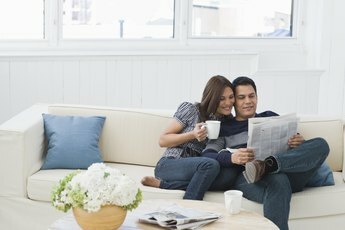 To avoid this issue, your spouse will need to refinance the house. To protect yourself, go to your spouse's closing and sign the quitclaim deed there. Doing so allows you to release your ownership of the house only when you know the mortgage obligation has ended. If you and a co-owner disagree about who owns the property or whose name should appear on the dead, you may have the option of going to court. A court order can force a change in ownership or override the names on the deed. Again, divorce is a prime example. If the terms of your divorce state that you alone will own the property going forward, your former spouse is legally obligated to confer ownership to you by surrendering their own. If they refuse, a judge may jail them for contempt of court until they change their mind or issue a ruling to override the deed. 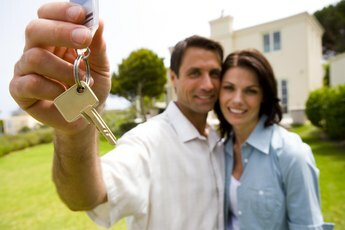 When you sell property, ownership legally transfers from you to the buyer. A new deed is then issued in the buyer's name. If, for instance, you and your brother own a rental property together and can't agree on how to operate it, you could sell the property and move on. 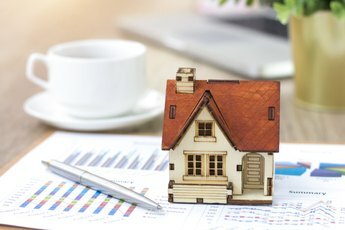 Either you or your brother could agree to remove yourselves from the deed, but selling the asset is a good option when you can't agree about the property's future. The fate of a property and its deed vary after the death of a deed holder. If two or more property owners are joint tenants with rights of survivorship (JTWROS), the ownership of the property is automatically transferred to the surviving owner. This is common when two spouses share a home and one of them dies. In this case, you can request a new deed by submitting a death certificate to your local recorder of deeds, but it isn't necessary to do so. The death certificate will serve as proof that the deceased no longer owns the property when it's time to sell, even if their name still appears on the deed. Sometimes a person dies and they are the only person listed on the deed. In this case, the person's will dictates who receives the property, and the probate court will assist with transferring it to the new owner. The court ruling will allow you to add your name to the deed and remove the decedent. If the deceased had no will, the court will determine who gets the property and will appear on the deed. In some instances, a transfer-on-death (TOD) deed acts in lieu of a will. In a TOD deed, a person owns property and their name appears on the deed. Upon their death, however, the deed is immediately transferred to the beneficiary that they have designated. TOD deeds make property transfers easy but are only allowed in about half of the states in the U.S. Many attorneys will complete this process for you, if you prefer. Charges can vary significantly. You may also be able to get help from a title company, usually for much less than an attorney would charge. Removing someone’s name from a deed does not remove his obligation to pay his portion of any mortgage on the property. The loan must also be refinanced in a separate action if he is no longer financially responsible. In cases of divorce, this is normally handled as a part of the settlement proceedings. Can a Person Inherit a Mortgage?